Engraving patterns are made by vaporizing material with a precision laser beam. The process doesn’t suffer from the limitations of mechanical cutting tools, which wear out and become dull with use. Such wear reduces engraving quality. The laser is computer controlled to assure accuracy. This means the engraving will exactly match your specifications, and multiple engravings of the same pattern will be identical. Laser engraving is an automated process that isn’t slowed down by the need for cutting tool replacement or the labor intensive manual cutting of traditional techniques. Finely detailed complex patterns, once considered unfeasible, are engraved quickly and efficiently. What might have required weeks to engrave is doable in a few hours. Laser engraving works with a wide variety of materials of varying degrees of thicknesses. These include metals, coated metals, stainless steel, carbon steel, and plastics. The process isn’t limited to flat surfaces. Patterns can be engraved on rounded, uneven, and other complex surfaces of 3D objects. Lasers can engrave patterns in areas that are hard to reach by other techniques. If you’ve never used laser engraving, understand that it opens up a wide range of possibilities you might not have considered. 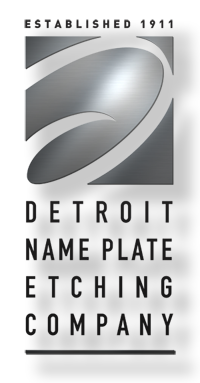 For example, it’s used for cabinetry, signs, gunstock patterns, barcodes, logos, and data plates. Because the technique readily handles intricate patterns, ordinary objects can be transformed into works of art. Use the many benefits of laser engraving to differentiate your products from your competitors. Contact us today to learn more.